The Swedish soprano, Agnes Aue is active as a concert- and operasinger. "Exsultate jubilate" W. A. Mozart, "Ein deutsches Requiem" J. Brahms and many more. Agnes is recipient of the prestigous Anders Wall Confidencen scholarship for 2017! She recieved her eduction from The Academy of Opera in Oslo. and has given concerts together with Scenkonst Sörmland and pianist David Huang. Giulietta "I Capuleti e i Montecchi" V. Bellini (december 2015). 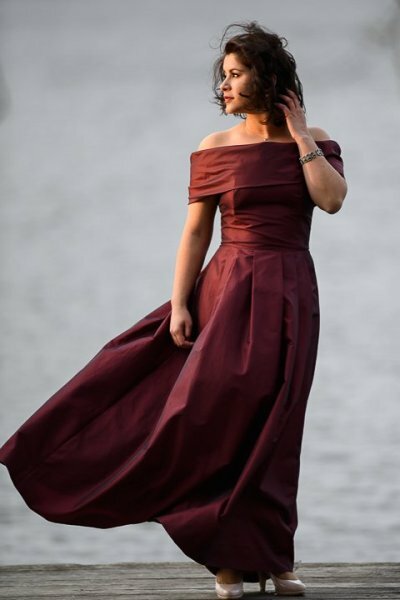 In the spring of 2016 she sang the role of Lauretta in "Gianni Schicchi" G. Puccini when the Academy of Opera performed at the Norwegian Opera and Blanche de la Force in scenes from "Dialogues des Carmélites" F. Poulenc at the main stage of the Academy of the arts in Oslo. "Norrmalmtorgsdramat - att dö på sin post"
the Swedish Royal Orchestra at Gustaf Vasa church (Stockholm) among many. Don´t hesitate to get in contact for future collaborations!